Erik Buell Racing has finally given us a complete look at the new 1190RS sportsbike which will be shown in public this weekend in America. 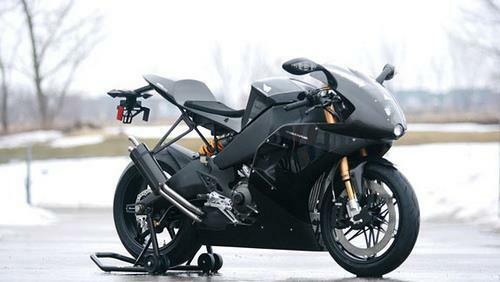 The bike promises to be the first new road-legal machine produced by the innovative designer, Erik Buell, since parent company Harley-Davidson pulled the plug on Buell Motorcycles at the end of 2009. It should be more than a match in terms of performance for the likes of the Ducati 1198 and KTM RC8R. 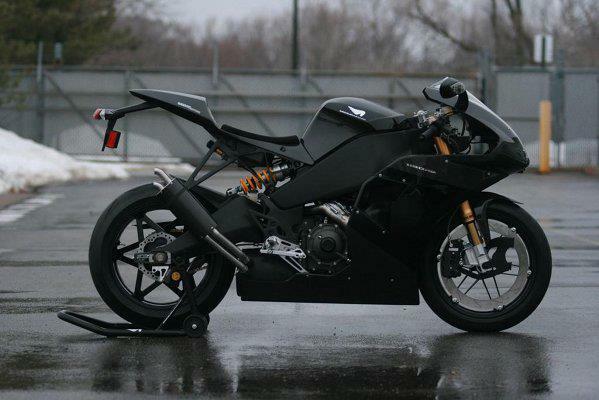 Soon after, Buell left Harley and founded Erik Buell Racing to hand build race-only machines as the terms of his departure prevented his manufacture of road going Buells for a period of 12 months. That stipulation has now, however, expired. Predictably, the 1190RS is based on EBR’s $44,900 (£27,841) 1190RR racer, itself a development of the last of the ‘old’ Buell’s: the Rotax-engined 1125R. Developed with help from former MotoGP riders Jeremy McWilliams and Alex Barros, as well as a host of top US racers, the 1190RR track machine boasts an explosive power-to-weight ratio, weighing in at just 164kg and making 185bhp and 93ftlb of torque at the rear wheel. 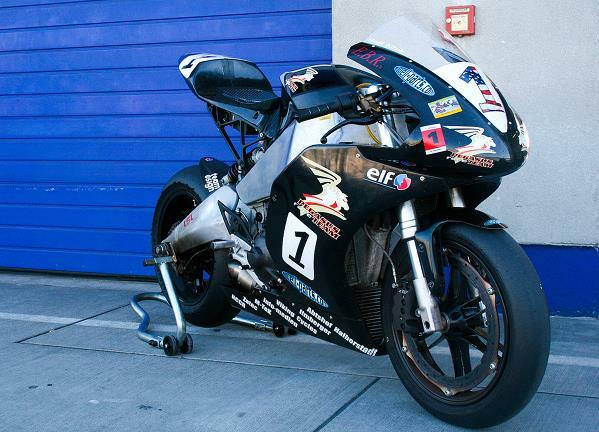 Think the power of an S1000RR, the grunt of a Ducati 1198SP and the weight of a BSB bike. With its road legal exhausts, road bodywork, lights and indicators, the 1190RS is bound to weigh a more, although judging by all the carbon fibre in the latest picture, not by much. 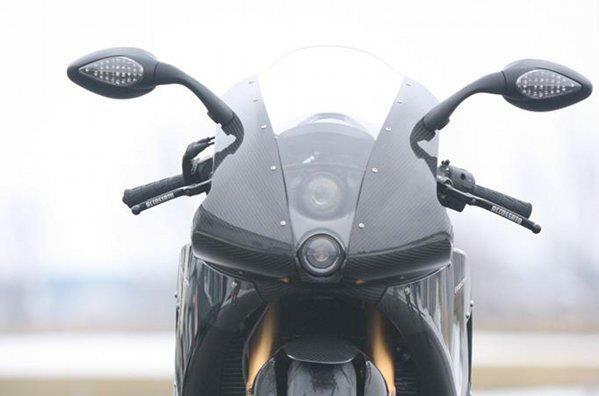 An earlier leaked picture also showed the new bike’s nose, which seems to closely resemble that of the 1190RR racer, also pictured. The 1190cc V-twin is likely to be detuned slightly for reliability too, but should still deliver mouth-watering performance. In typical Erik Buell style, the machine mixes the normal with the unconventional and has a rim-mounted front brake disc and its fuel cell located inside the aluminium beam frame. The 1190RS is expected to be unveiled at this weekend’s Indy Dealer Expo. Check back for more details as we get them.